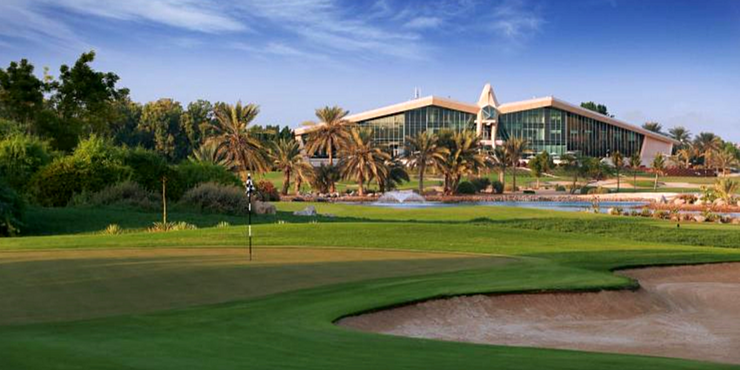 Well, we all wanted an incredible golf tournament this year in Abu Dhabi, and this week certainly didn’t disappoint! The Abu Dhabi HSBC Golf Championship 2018 edition featured low scores, plenty of familiar faces on the leaderboard, amazing golf, and breathtaking scenery. Below you’ll find a round by round recap showcasing how the tournament unfolded, as well as an analysis of how our HSBC golf tournament field predictions faired (hint: we think we did pretty darn good this week). So if you missed any of the action, keep reading below to fill in the gaps. The lead story heading into the week was undoubtedly Rory McIlroy. Earlier in the week, McIlroy revealed that he had a minor heart condition, which was then (of course) blown out of proportion by a large contingent of the golf media. In the first round, Rory fired a very respectable (69) three under par. Given that he didn’t make a single bogey in his first competitive round in months, this was a great sign. That being said, 69 wasn’t good enough to have the lead after day 1. A very familiar face on the European Tour was back on top of the leaderboard after day 1 at the 2018 HSBC Golf Championship in Abu Dhabi. Tommy Fleetwood played a nearly flawless round of golf and ended the day tied for the lead with a 6-under 66. According to this article (which analyzed the statistical averages of “The Average European Tour Pro” from 2016, The average professional golfer hits about 12 greens in regulation per round. During his first round 6-under 66, Tommy Fleetwood did just a little better than that. In fact, Fleetwood was literally perfect in the greens in regulation category; 100%. Yep, a perfect 18 for 18. I guess when you have a birdie putt on every hole, it’s a little easier to shoot lower scores now, isn’t it? An even-par 72 isn’t exactly a terrible score, but on a day where birdies were the norm, Johnson’s lackluster 72 put him in a tie for 69th. 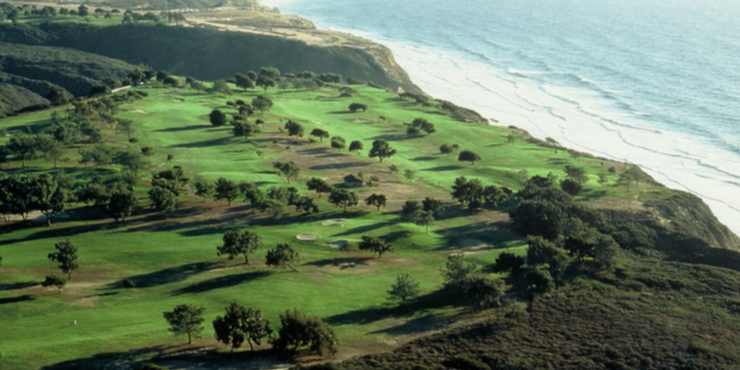 It’s hard to believe that the same golfer that torched the field just a few weeks ago in Kapalua could get beat by 68 other players, but such is the nature of this frustrating, maddening, and yet incredibly addicting game of golf. Even the best players in the world (Johnson is the current world #1) have their off days. This round might as well have been called the official “return of Rory.” In round 2 of the Abu Dhabi HSBC golf tournament, Rory McIlroy fired a 6-under par 66, highlighted by a majestic long iron at the 18th hole to 25 feet, which resulted in an eagle (you'll see it in Rory's round 2 highlights video below). What does this mean for Rory for the rest of the year? Who knows. Rory has always been an inconsistent player throughout his career, but you can’t argue with the results when he shows up to a tournament with his A game. Yeah yeah I know, this article talks a lot about Rory McIlroy, but the fact of the matter is that just a few short years ago, he was the obvious heir apparent to Tiger Wood’s throne, but injuries have derailed his pursuit of perfect since 2014 (the year he last won a major championship). Dustin Johnson shot a mediocre 72 in the first round, leaving him way back of the pack. That being said, you can’t keep the top golfer in the world down for long. Johnson came roaring back on Friday, shooting a beautiful 8-under par 64. 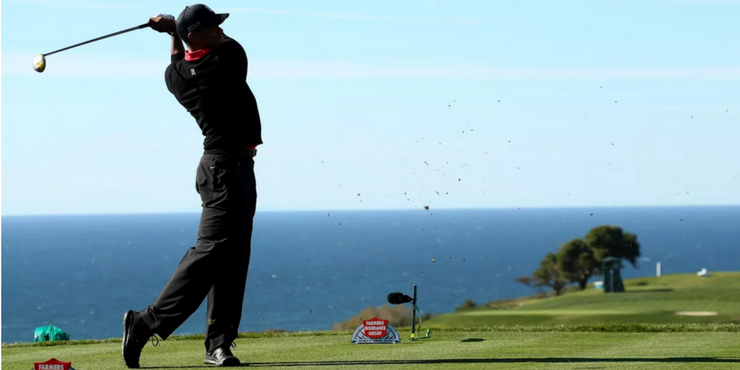 If you aren’t very familiar with Thomas Pieters, you should be. The 6’ 5” 25-year old Belgian is going to be on a lot of leaderboards in the very near future, and it certainly wouldn’t surprise any of us here at Scratch Golf Academy if he were to win a major in 2018. So yeah, Pieters very well may be a force in the game for the next 10-15 years. Thomas Pieters started the 3rd round of the HSBC with the lead, and after a 3rd round 5-under par 67, he maintained a share of that lead heading into Sunday’s final round. Ross Fisher would card a 65 on Saturday, catapulting him to 17-under par through 54 holes, tied with Pieters heading into Sunday. While many golf fans expected McIlroy to come out rusty, his game has been razor sharp through 54 holes. McIlroy sits at 16-under par, just one shot off of the lead held by Pieters and Fisher through 54 holes. Through three rounds of golf McIlroy has made just one bogey; that’s some impressive golf. Fleetwood shot a 3rd round 5-under par 67, putting him just two shots back heading into the final round. Fleetwood is the defining champion, and he certainly has good memories on this golf course. There were a lot of storylines heading into the final round of the 2018 Abu Dhabi HSBC Golf Championship? Could the young Belgian Thomas Pieters close the deal for one of the biggest wins of his career? Could Ross Fisher notch one of the biggest victories of his career? Could Rory McIlroy make a very loud statement right out of the gate and position himself as the man to beat in 2018? Or could Tommy Fleetwood play a sensational round on Sunday and go back-to-back in Dubai? To go along with rounds of 66, 68, and 67 on the first three days of play, Fleetwood closed out the tournament with a 7-under par 65 to post -22, edging out Ross Fisher by two shots. The win this year is validation for Fleetwood, as he tries to build upon the best year of his career and propel himself into the conversation as one of the elite players in the game. 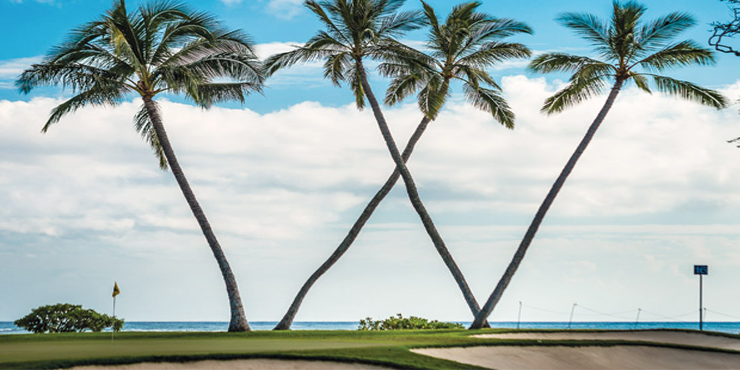 You may recall our lackluster predictions at both the Sentry Tournament of Champions and the Sony Open in Hawaii. However, we really redeemed ourselves this week, as the eventual winner (Tommy Fleetwood) was one of our top 5 favorites for the week. The 40-year old Casey seems to always play well in big events, and this week was no different. Casey had a solid showing at -14 under, which was good enough for a T-9 finish. He was our fourth pick this week, but still picking the winner is pretty good, right? Fleetwood’s game is really impressive, and we cannot wait to see what he is going to do is 2018. Rose didn’t have a bad week per se, but a T-22 finish certainly isn’t what one of the top players in the world is looking for. However, we expect Rose to have a solid season, and perhaps contend for a green jacket again at Augusta in April (he lost the 2017 Masters to Sergio Garcia in a playoff). The big Swede had a nice week, finishing the tournament at -15 under par, good enough for 8th. He finished strong with a 7-under 65 on Sunday, tying the low round of the day. If it hadn’t been for a mediocre even par 72 in the first round, Johnson likely would have been right there with a chance to win this week. Johnson finished the tournament at -14, tied for 9th. While a top 10 finish is certainly respectable, Johnson is playing at such a high level right now that anything besides a win is likely a disappointment. 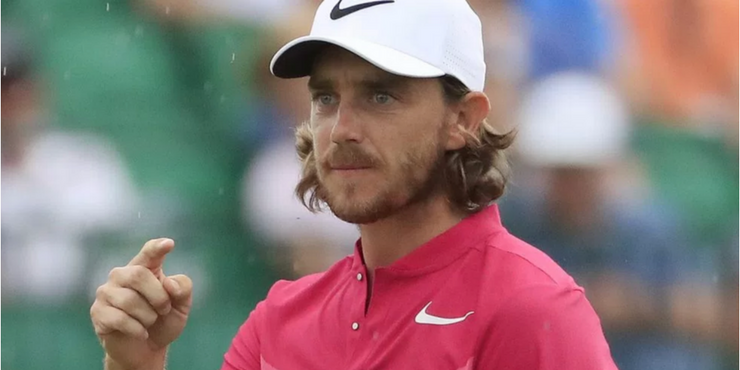 Congratulations to Tommy Fleetwood on an incredible win. Fleetwood is currently the 18th ranked golfer in the Official World Golf Rankings, and he should easily slide into the top 15 after such an impressive performance this week. Perhaps the man that had the most to gain this week was Rory McIlroy. After the longest layoff of his professional career (and coming off of his first winless reason as a pro since 2008), McIlroy showed plenty of game, finishing the tournament in a tie for 3rd. Based on Dustin Johnson’s Abu Dhabi HSBC Golf Championship results from this week, it’s safe to say that he’s already one of the early favorites heading into the Masters in April. Johnson posted a T-9 finish, even though he didn’t have near his best stuff this week. 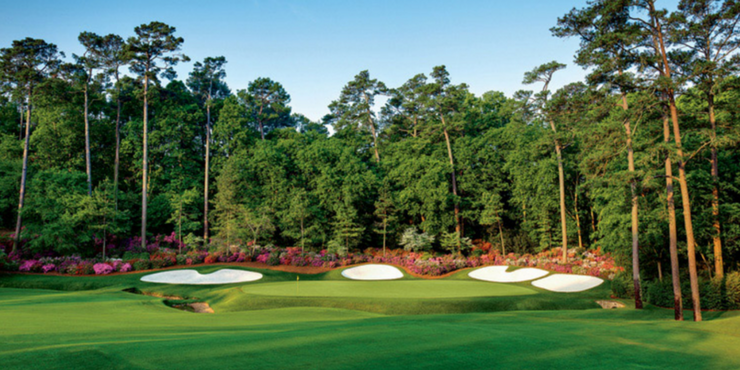 We look forward to watching Rory and Dustin battle it out (along with Jordan Spieth, Justin Thomas, and more) in what should be a thrilling 2018 golf season!